If you're a business owner, you know that a business has to run perfectly every hour of every day or its reputation could suffer. 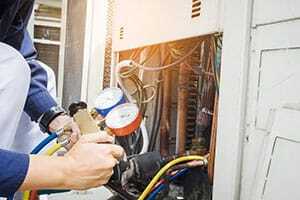 A malfunctioning AC isn't the worst that could happen to your business, but it's still something employees and customers alike will pay attention to. The best way to prevent issues with your AC is, of course, to perform scheduled maintenance. Business owners are rarely willing to have contractors come over for maintenance, especially regular one, for one simple reason: it could impede the company's day-to-day and potentially prevent people from doing their jobs. Not with us: we've devised a method of maintenance that is as low-key as possible and isn't going to disturb your employees while they're working. Not that that's going to reduce our efficiency or anything: our technicians always cover every inch of the AC unit inside and out so that no fault can remain undetected. 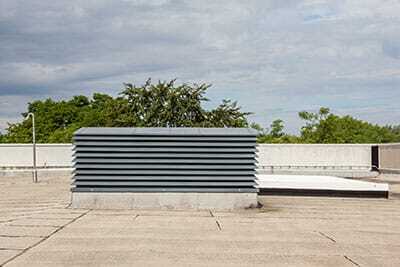 There's plenty of reasons why workplace ACs should always be kept in order. If one or more of your coworkers has a chronic respiratory issue, it's your responsibility to keep the air in the workplace clean year-round. Of course, that entails keeping your AC unit in tip-top shape year-round so that no dust or dirt accumulates in or around the unit. Keeping the air conditioning system ready for the seasons is another responsibility a business owner has. Heat waves can strike unpredictably and reach boiling heights – different people handle high temperatures differently, and your coworkers could experience health problems after spending too much time in a heated area. But it's not just the potential dangers that make regular AC maintenance a great idea. A business should run without issues, no matter how small, and a malfunctioning AC definitely ranks as a nuisance. With Boerne Air Conditioning Experts giving your AC unit a proper checkup here and there, the AC will work terrific and so will the employees. You can give us a call and see about the kind of scheduled AC maintenance we can hook you up with. While we might be able to go over quite a few details over the phone, one of our technicians will have to come along so we know exactly what's what. Don't worry, though – we aren't in the business of swindling our customers, and any estimate you get from us will be straight on point. The same goes for pricing – we can guarantee that our prices are the same or lower compared to those of our competitors without any sacrifice in quality on our part. The frequency of your workplace AC maintenance varies depending on the type of work you do, the size of the structure, insulation and overall climate. In some cases, our technician might suggest several maintenance sessions per year in order to guarantee functionality, while in others, a single session will do just fine. Whichever the case, listening to our advice will pave the road for an AC system that works perfectly for a very long time.